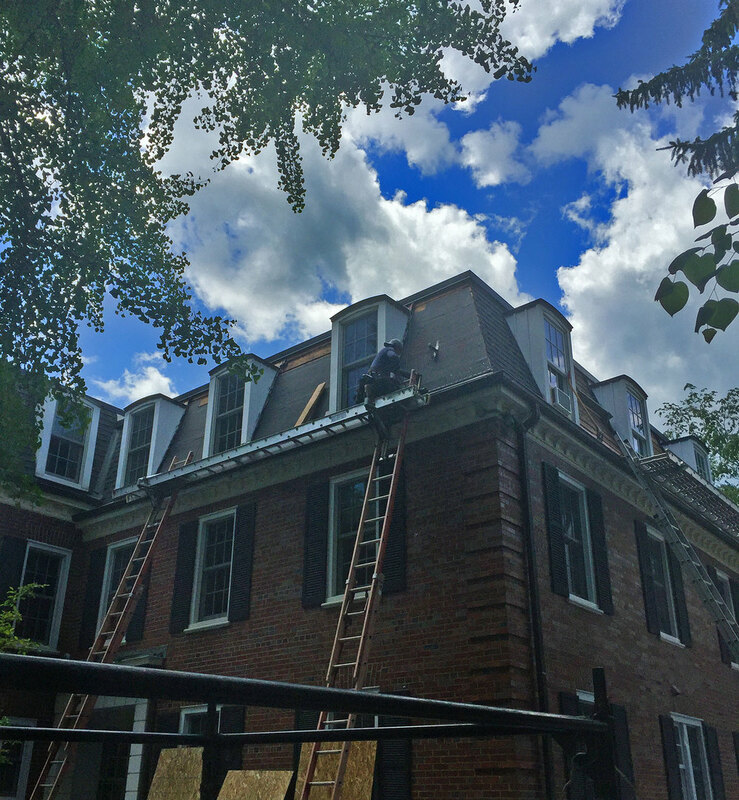 Roof replacement for the Delta Delta Delta sorority in Ann Arbor. This building has a Mansard roof which stands out for its elegance and old-world appeal. 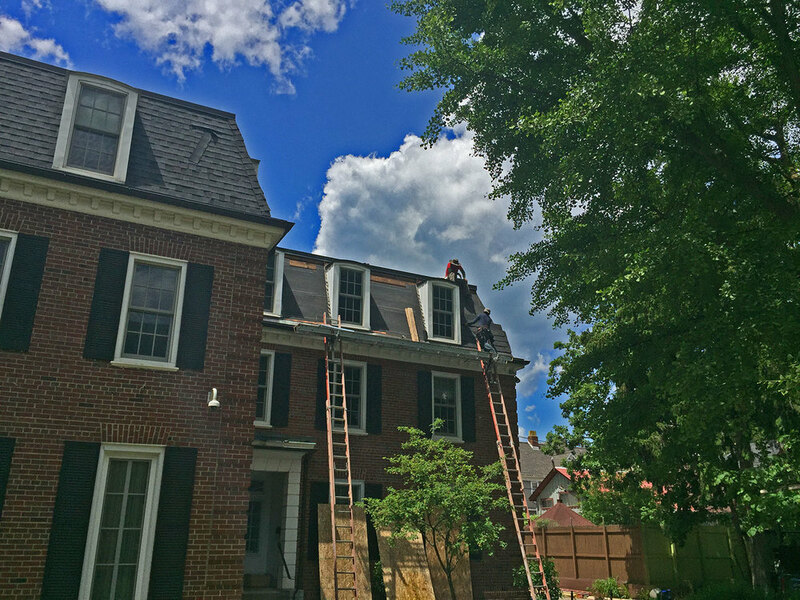 Keeping with the same style, Neighborhood Roofing crew installed GAF Camelot II Shingles. These shingles are designed with artisan-crafted shapes combined with oversized tabs and a dimensional design result in a sophisticated beauty unmatched by typical shingles.